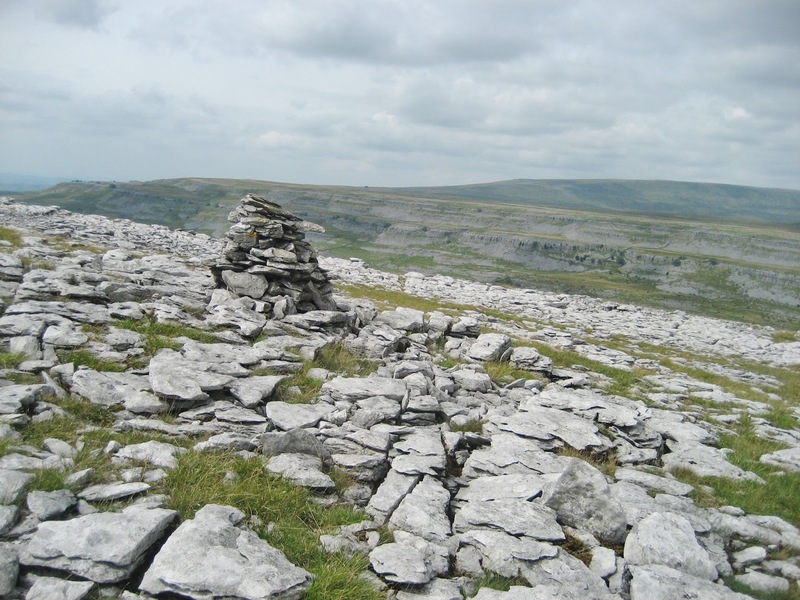 To think of the Yorkshire Dales is to think immediately of limestone. The two go together like Morecambe and Wise, cheese and wine. To conjure up an image of Ingleborough from a classic ‘old school’ geography lesson is to picture a micro-world of gleaming white pavements, stark isolated boulders, spine-chilling pot holes and scree-laden cliff faces; beautiful white rock against an emerald green backdrop. It is no exaggeration to say that limestone is the most beloved of rocks. Quarrymen have for centuries sought its strength; cavers and potholers have celebrated the challenges of its underground labyrinths; climbers have persevered on its daunting routes, while painters, photographers, writers and walkers have all been bewitched by its beauty. 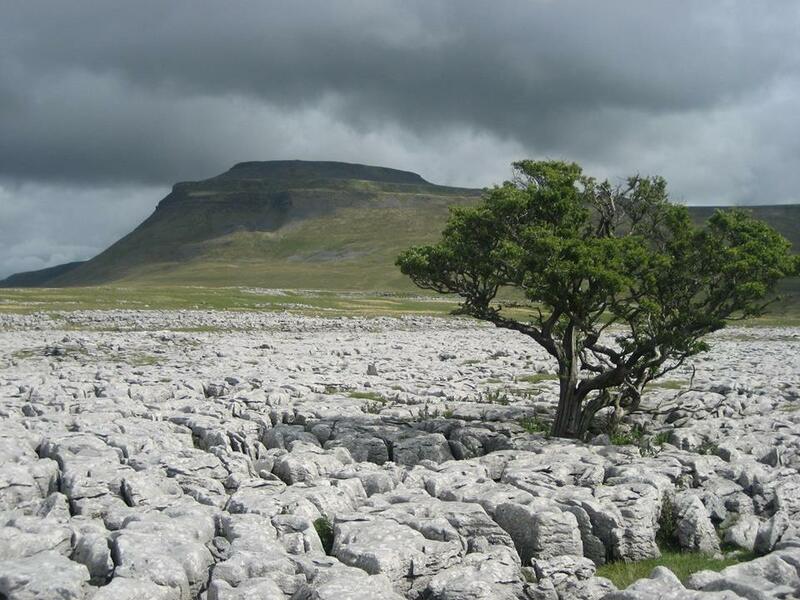 The Great Scar Limestone, forming the massive plateau on which Ingleborough rests, began to be laid down in a warm, shallow sea close to the equator, some 340 million years ago – in what we know as the Carboniferous (coal forming) period. The coal was actually formed from vegetation growing in steamy swamps towards the end of the period and the limestones are considerably older. They were allowed to form as, over a huge period of time, millions of shelly creatures left their remains on the sea bed, accumulating into a thick mud which eventually lithified into solid rock. Made up largely of the mineral calcite, the lithification (rock forming) process saw compression so severe that very few full animals were fossilised, hence the Great Scar is a very barren prospect for the fossil hunter. The mud forming the limestone was laid down in a series of beds, separated by the famous horizontal ‘bedding planes’ which are obvious to even the most casual observer. These planes were actually very thin beds of shale, where mud was washed over the sea bed during periods of fluctuating depth. 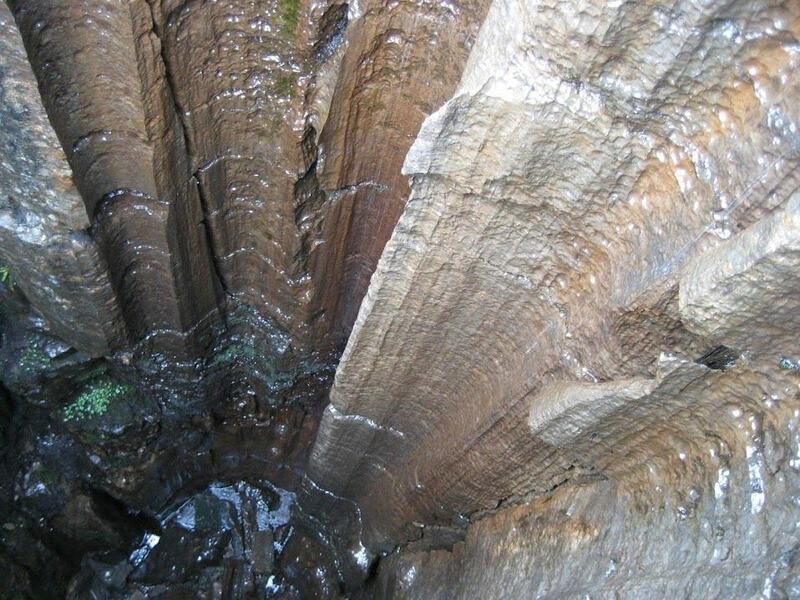 The shale has usually been weathered away to leave a straightforward ‘crack’ – but it can still be seen in many of the cave systems on Ingleborough. 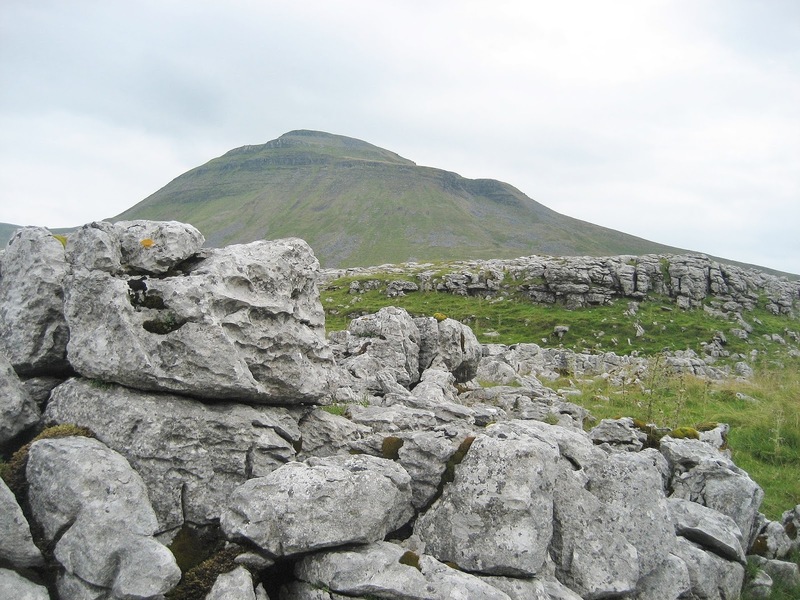 Solubility and strength are the two main factors that determine the complexity of Ingleborough’s limestone landscape. 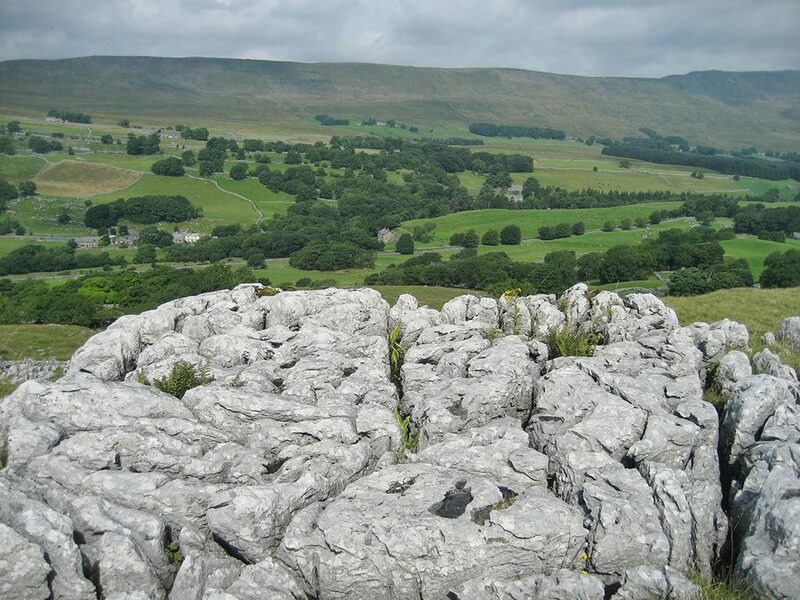 Pavements, scars, caves and potholes are all synonymous with the Great Scar, but it is important to remember that many other limestones exist within the Yoredale Series – each with its own unique qualities. What comes as surprise to most people, however, is that the Great Scar Limestone itself is far from uniform in structure – and a number of distinct sub-types can be recognised. With practice and a trained eye, it is easy to pick these out in the landscape.